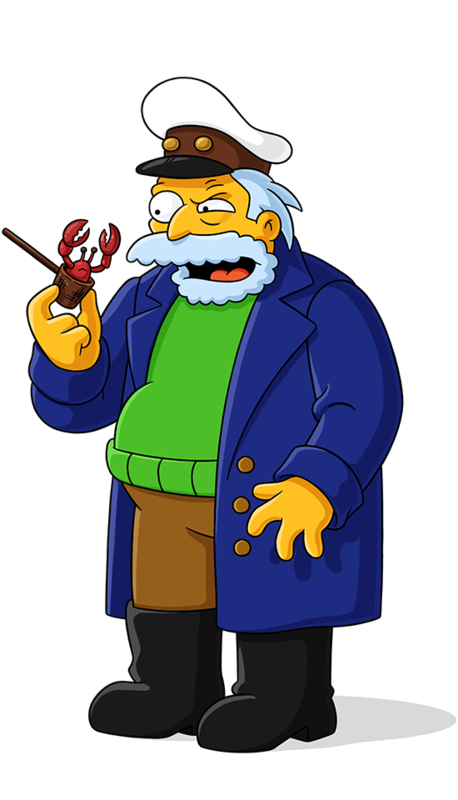 Horatio McCallister, owner and proprietor of "The Frying Dutchman" restaurant. Weather-beaten complexion, squity eyes, he has had three previous all-U-can-eat restaurants: Take Me To The Liver; The Beet Goes On; Groats! Groats! Groats! Says: "Aahrr! Is it more ice tea ye be needin'?" and "Aahrr, squidy, I got nuthin' against ye." Arr! This picture'll serve me well on those lonely nights at sea. Here come the tourists! Man your ATMs, yar.